Les Jardins is a beautiful luxury home community located on the East side of St. Andrews Blvd and South of Yamato Road in Boca Raton, Florida. Luxury homes with room to roam—that's the community of Les Jardins. As one of Boca Raton's best kept secrets, Les Jardins has the privacy and class you are looking for in a closed environment. Situated on 46 lush acres, there are 117 single-family homes ranging from 3,200 to more than 8,500 square feet on over sized home sites. 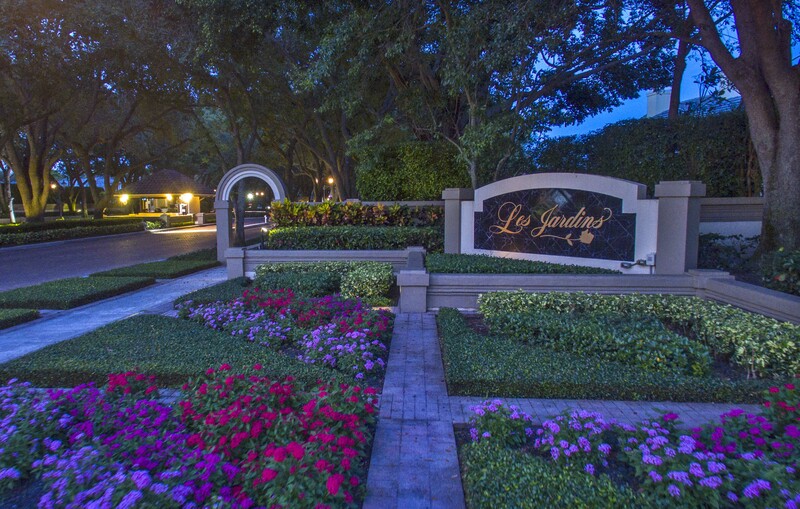 The established and gated community of Les Jardins was built in the mid-80's and features amazing amenities like an advanced fitness facility, clubhouse for hosting events and social places for relaxation, parks, pool, tennis and more. Most of the residents in Les Jardins live there all year, as they have easy access to local shopping, restaurants, nightlife and the water. From the French for "gardens," the beautiful atmosphere of Les Jardins is maintained every week to ensure the landscaping and tropical rec areas are perfect. From the gated security to the amazing common areas, Les Jardins is an elite community in Boca Raton with some of the most stunning homes in South Florida.